Tempering chocolate is not difficult, but sometimes time and patience are in short supply, and you might find yourself looking for a tempering shortcut. 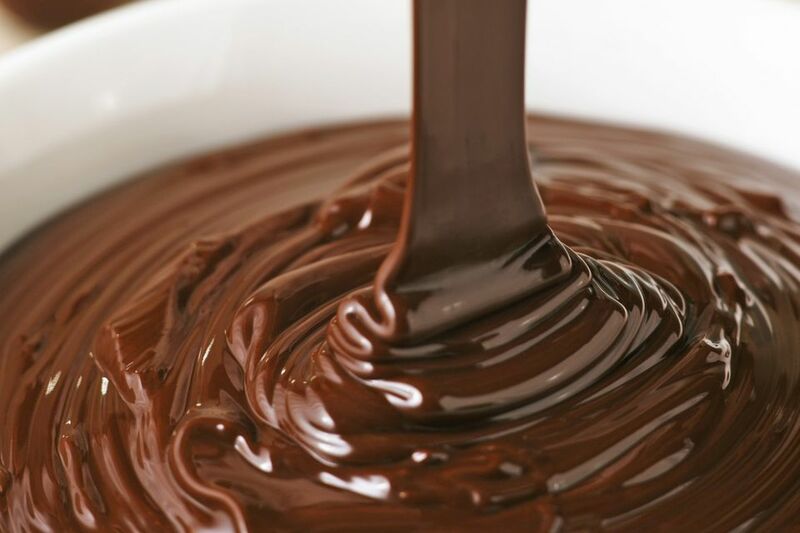 While there is no substitute for properly tempered high-quality chocolate, there are a few alternative methods for creating hard, glossy chocolate coatings. Candy coating is not really chocolate, in the sense that it contains no cocoa butter and little, if any chocolate liquor. Instead, this chocolate-flavored confectionery product contains vegetable fats in place of cocoa butter, which means it sets quickly and remains stable at room temperature. Candy coating comes in dark, milk, and white chocolate varieties (as well as other flavors, like mint and peanut butter) and is a great shortcut for molding decorations and novelty chocolates. However, the taste does not compare to real chocolate, so do not use these products if your candy depends on a deep, rich authentic chocolate taste. ﻿First, let me state that wax is not food. I do not suggest that you add paraffin or baker’s wax to your candies, as the FDA has not approved wax for human consumption. However, generations of confectioners have added wax to chocolate to produce shiny, hard chocolate coatings. If you decide you would like to try this method, paraffin can usually be found in the canning supply section of the grocery store, while confectioner’s wax can be found in cake supply stores or online. Be aware that wax can add an unpleasant texture and/or taste to your chocolate.